The term interactive has lost much of its literal meaning becoming a term more closely linked with the 'point and click' computer screen interface. Hence this exhibition hopes to question the now norm concept of website interactivity with works that emphasise the active and reactive relationship between audience and work. The exhibition calls on a variety of artists whose works are truly interactive in the sense of allowing the audience choice and partial control. 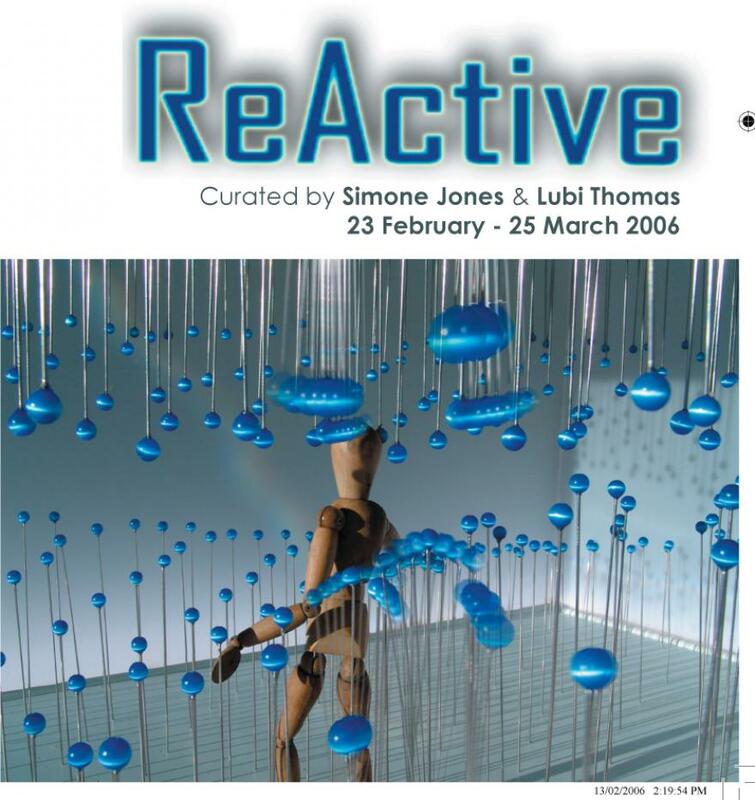 ReActive is a hands-on exhibition that encourages you to become involved in the art. This interactive exhibition features works that react to and interact with your body, including digital media, arcade games and sculpture.